Cole Custer started 10th, finished seventh. Earned four bonus points. Custer piloted the Thompson Pipe Group Ford inside the top-10 for the majority of the stage. He noted tight-handling conditions throughout the stage. Custer pitted at the conclusion of the stage for four tires, fuel and air pressure adjustments. He gained five positions on pit road. Custer started second, finished 14th. Custer maintained his car inside the top-four until he was caught behind a loose-handling car on a lap-74 restart. During a lap-84 caution, Custer pitted for four tires and fuel along with the majority of the cars in the top-10. He restarted 17th. Custer started fourth, finished fourth. He continued to run inside the top-five, but noted tight-handling conditions during the first half of the stage. Crew chief Jeff Meendering radioed Custer to the pits on lap 142 for four tires and fuel. He was in the third position. After green-flag pit stops cycled through, Custer was scored in fourth place. 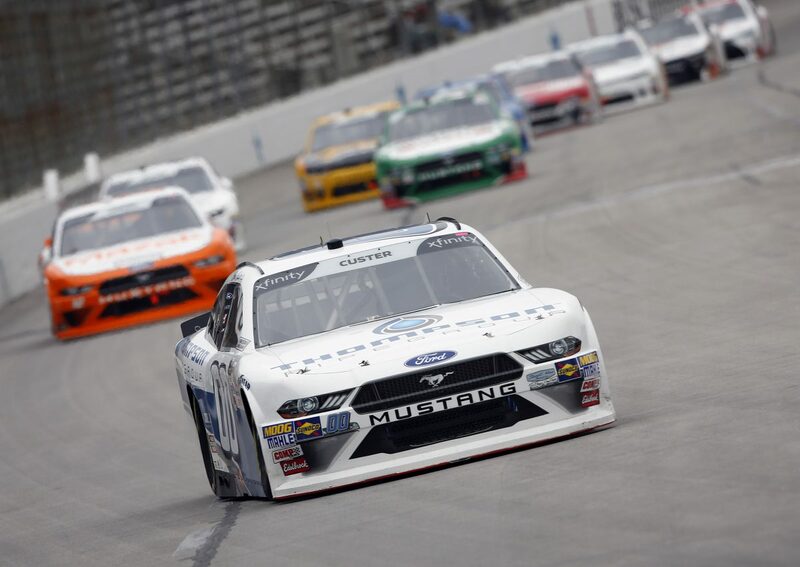 Custer battled the Thompson Pipe Group Ford Mustang in the top-five for the remainder of the race and qualified for the $100,000 Dash 4 Cash bonus at Bristol Motor Speedway next weekend. This marks Custer’s third top-five at Texas, first top-five of the season and fourth straight top-10 of the season. This was Custer’s third straight top-five at Texas. This was Custer’s best Xfinity Series finish at Texas. Custer earned four bonus points in the My Bariatric Solutions 300. Only 10 of the 40 cars entered into the race finished on the lead lap. The race featured eight cautions for a total of 42 laps. Ryan Blaney won the My Bariatric Solutions 300 to score his seventh career Xfinity Series victory, first of the season and first at Texas. His margin of victory over second-place Christopher Bell was 2.327 seconds. The next event on the NASCAR Xfinity Series schedule is the Fitzgerald Glider Kits 300 on Saturday, April 14 at Bristol (Tenn.) Motor Speedway. The race starts at 1 p.m. EST with live coverage provided by FS1.